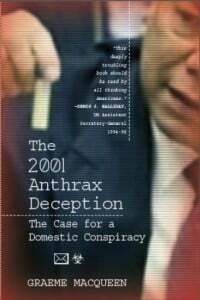 We are joined by Dr. Graeme MacQueen, co-editor of The Journal of 9/11 Studies, for an in-depth discussion on his important new book, The 2001 Anthrax Deception : The Case for a Domestic Conspiracy. Shortly after 9/11, the US was once again gripped by fear as letters containing anthrax were sent through the post to news media offices and two US Senators, killing five and infecting perhaps dozens of others. Initially widely blamed on Al Qaeda and Iraq, the attacks were used to justify and accelerate the USA PATRIOT Act. But as evidence grew that the anthrax spores had originated in laboratories embedded in the US military-industrial complex, attention was diverted to looking for the “lone nut”, a quest that ended with a convenient suicide. But what, asks Dr. MacQueen, should we conclude from all the “intelligence” that supposedly pointed towards Al Qaeda and Iraq in the first place? Was it all error? Or was it, as he persuasively argues, a nexus of “faulty” intelligence, “prescient” media reports, “tips”, and astonishing “coincidences” that inescapably points towards a group of insiders within the US state apparatus itself? And if so, argues Dr. MacQueen, the evidence heavily suggests that this group was also responsible for planning the 9/11 attacks. Julian Charles: Hello everyone, Julian Charles here of The Mind Renewed.com, coming to you as usual from the depths of the Lancashire countryside here in the U.K. Today is the 9th of October 2014, and it is my privilege to welcome to the programme, Dr. Graeme MacQueen. Dr. MacQueen holds a PhD in Buddhist Studies from Harvard University. He taught for 30 years in the Department of Religious Studies at McMaster University in Hamilton, Ontario, where he was a founding director in 1989 of McMaster’s Center for Peace Studies. He has co-directed projects in four war zones, and written articles and contributed to several books in Peace Research. He’s also written several peer-reviewed articles on 9/11 anomalies, served on the steering committee of the Toronto Hearings into 9/11, is a member of the Consensus 9/11 Panel, and is co-editor with Kevin Ryan of the Journal of 9/11 Studies. Dr. McQueen, thank you very much indeed for joining us on The Mind Renewed. Graeme MacQueen: Thank you for having me, Julian – my pleasure. JC: Now, we’re going to be talking today about your new book, The 2001 Anthrax Deception : The Case for a Domestic Conspiracy, which takes a critical look at the events and circumstances surrounding the so-called “Anthrax Attacks” of 2001 in the U.S., a little bit after 9/11. It examines them from the vantage point of 13 years of hindsight in a way that I think is very revealing; indeed I would say it dismantles the official explanation of those attacks and provides further erosion of the official 9/11 narrative. (And for anyone who has not read it yet, let me say that although it is clearly an academic work with all the rigour, footnotes and references that one might expect, it’s nevertheless very readable. I think it’s a compelling read; a bit like a crime novel in some ways.) So that’s the subject of our conversation. Let me start, Dr. MacQueen, by asking you about your background in Peace Studies, and what part that may have played in the kind of work you’re doing now. Could you give us an idea of Peace Studies as an academic discipline, and how you got into that area of research? GM: Yes, I’ll do my best. Peace Studies and Peace Research really began in the 1950s with a few individuals like Johan Galtung, from Norway, and subsequently a number of people, including people from Britain, such as Adam Curle. Programmes were established around the world. The University of Bradford, in England, had one of the strongest. There’s no generally-accepted official definition of Peace Studies, but it obviously has to do with war and peace; some would say, more generally, violence and peace. Some people say: “It has to do with the causes of war and the conditions for peace,” which is not bad, except that that implies a rather conventional view of what war is. One of the [most significant] contributions of some of the greatest Peace Studies intellectuals has been to formulate a quite different view of what war is: War is not an event; war is a system. That has many implications, and it even has implications for the work I do in studying 9/11 and anthrax. But what you need to know is that initiatives for peace often flourish at the very times when war is most prominent, and that’s because people react against war; they’re disgusted by it, and they try to think of alternatives. This has happened repeatedly in history. So, for example, the US involvement in Vietnam in the 1960s led to quite a few developments in Peace Studies in the United States as a reaction to that: “We shouldn’t be doing this; this is wrong; it doesn’t make sense intellectually; it’s certainly not worthy of us morally. What could we do that would be an alternative to that?” and so on. And as the Cold War went on and people began to worry about nuclear annihilation, again people said: “This is absurd; we need to do something about this; universities aren’t challenging conventional thinking nearly enough; they can’t leave this to international relations experts and diplomats; we need new methods, new thinking, new institutions.” And this led to a flowering of programmes internationally. I call it “a flowering,” even though those who’ve been involved in establishing and maintaining those programmes may not react to that metaphor very well, because it’s often more like rolling a stone up a hill. In other words, you often don’t get a lot of support either from the institution itself (universities) or from governments. The Thatcher Government went after the University of Bradford programme. These programs, if they are going to be worth anything at all, have to be willing to criticise governments, the military-industrial complex, and corporations that make money out of war; therefore the odds that they’re going to get a wonderfully huge grant are very slim. JC: So, this research is not looking at war as an event, but rather as a whole set of conditions, circumstances and processes that lead to war. GM: Yes, I don’t want to pretend to speak for all of Peace Studies. Like any discipline, still in the early stages of developing its concepts, there’s much dissent and disagreement; so there’s no one view in this. I’m just saying that, for me, one of the greatest insights in thinking about peace is to approach war as an institution. Forget about events; forget about, “The war broke out here”, or “What is the cause of war?” Think rather that war is an enduring, but theoretically dispensable, institution that human beings resort to. And it’s solidified internationally through what we call “the military-industrial complex,” and through certain cultural views. But it isn’t eternal; it’s not necessary; it’s not essential to human beings; and it may be that it’s time we reined it in. JC: Can I ask you what made you start questioning 9/11 itself? GM: Yes, my answer could go on too long, so I’ll give you the short version. When the event happened I was certainly not convinced that it had been done by so-called “Al Qaeda”, but that doesn’t mean I was brilliantly seeing through the event. I was simply waiting for evidence that they had done it, and I assumed that would eventually be provided to us. I was pretty sceptical initially, but like most people I kind of fell asleep. After a while we thought: “Oh well, I guess they must have done it. Everybody seems to accept that, so, even though I haven’t actually seen the evidence myself, it must be true.” I had a period of what I think of as my dogmatic slumber from late-2001 till about 2005. I became aware during that period that there were people who questioned the event, and I certainly never ridiculed them or excluded that possibility. But I was too busy, I thought, with other things to look into it properly: I was busy trying to stop an invasion of Afghanistan, initially, then I was busy trying to stop an invasion of Iraq—naturally, I failed with all those things. Then, eventually in 2005, I was challenged by somebody who said to me: “You haven’t looked into this. You don’t realise 9/11 was a fraud because you don’t know anything about it.” I realised he was right. Sometimes, it’s good to be challenged. So I did look into it, and in late 2005 I began to clear my desk of other materials and decided to figure out what was going on. And I decided rather rapidly that this appears to have been a fraudulent event; it doesn’t hang together at all. And by 2006, I was doing my own research in primary sources and publishing an article, and so on. And the more research I did—and this has continued to the present day—the more I became convinced that this is not simply an event about which we should ask questions. This is not merely a government account that has problems or a few difficulties. This was one of those, perhaps, rare cases in history when we could actually say the official story of 9/11 is wrong, and we can prove it—we can prove it. That’s the position I eventually reached. JC: Your book certainly contributes to that conclusion, and we’re going to delve into some of the detail of the book in a moment. But I think we need a short recap on the events of the Anthrax Attacks, because the media has pretty much shelved this whole business, and I suspect our collective memory of those days is pretty hazy, especially here in the U.K. So could you give us a recap on the main events of those Attacks, and perhaps a flavour of how they were portrayed by the media at the time? GM: Yes, when I first began looking into the Anthrax Attacks a few years ago, I didn’t remember much about them either. They weren’t a huge deal in Canada – though probably even less in the U.K. – but I did remember that shortly after 9/11 there was this scare: spores of this bacteria called “anthrax” were put into envelopes and sent around through the mail. So I decided to look into it. What happened was this: Approximately one week after the 9/11 attacks, somebody—individual or group, and in my view a group—put spores of the bacteria anthrax (which causes the disease that we also call anthrax) into envelopes and sent them around. The first wave went mainly to news agencies. There were also written notes in those envelopes conveying rather crude threats. By late September, people were beginning to get ill at various of these news agencies, but it wasn’t initially diagnosed as anthrax; it took a while. It was not diagnosed until October 3rd, when a man in Florida by the name of Robert Stevens was officially diagnosed as having pulmonary anthrax, which is the most deadly form. It’s what you get when you breathe it in. He died two days later, October 5th. The anthrax scare, then, as a kind of official event that happened after his death, lasted from about October 5th till well into November. During that period, there was a series of deaths – not a lot of deaths, certainly not compared to 9/11 – but five people died of anthrax, and about 22 are generally said to have become ill from it. Some people think that’s an underestimate, and that it was as high as 50 or so. Some of the people that got ill simply had a few symptoms, got over it and went back to normal, but not all did. Sometimes, anthrax can leave you permanently disabled. So, it was pretty serious stuff. What people have to realise is that, while these Anthrax Attacks were happening – and while the American population was increasingly coming to think that this was the second blow of a one-two punch strike at America (9/11 being thought of as the first blow and anthrax the second blow by the same terrorist perpetrator) – a number of other really important things were happening in the United States. The bombing of Afghanistan began just a couple of days after the first anthrax death. Preparations, which were now quite overt and public, began for attacking Iraq. The USA PATRIOT Act, which seriously ate into the civil rights of Americans, was passed during the Anthrax Attacks, and there are all sorts of direct connections between the two. (You might say Congress was frightened into passing the PATRIOT Act, in part by the Anthrax Attacks.) And the NSA began its infamous mass-spying on the US population during the early part of this period as well. So yes, a lot of important things were happening during the Anthrax Attacks. JC: Is it right that two senators were targeted at this time—two Democratic Senators, Tom Daschle and Patrick Leahy? And was that done, do you feel, in order to persuade them to come on board with the PATRIOT Act? GM: Yes, they were attacked; and yes, that’s why it was done – I’m quite certain. They were part of what we might call “the second wave of anthrax letters.” The preparation of anthrax spores used in this case was even more refined and more lethal than in the first wave. So, figuring out what the meaning of the Anthrax Attacks might be requires looking at the intimidation of Congress and specifically at the letters sent to those two senators. JC: But I understand from your book that they weren’t actually against the PATRIOT Act; they were sort of dragging their heels on the issue. GM: That’s right. In fact, when I first began exploring the anthrax letters sent to these two senators, I thought that the common view that they were sent these letters to help get the PATRIOT Act passed didn’t seem to work, because they weren’t putting up much resistance to the PATRIOT Act. They’re two very prominent and crucial Democratic Senators; I mean, if they didn’t agree with the PATRIOT Act, it wouldn’t have gone through. But when I looked at their views, I thought they had been successfully intimidated by the 9/11 attacks. They had come around to thinking that the PATRIOT Act was necessary; they had agreed to work with the Government to get it passed. So, initially, I thought: I don’t think the anthrax letters could have been sent to them for that reason. But the more I looked into it, the more I realised that they were sent to intimidate them, and that is because, although they approved of the PATRIOT Act in general and wanted to work to get it through, they were slowing things down. There was a particular event on October 2nd when they really put their feet down and said: “You know, this isn’t working for us; you must give way a little bit.” It’s at that point that the anthrax letters were sent to them. JC: So, this was all part of creating a climate of fear, and generally in the population too, in order to get support for the PATRIOT Act, and for the NSA to start collecting on everybody. GM: That’s correct. As I say in the book, as the Anthrax Attacks began there were many references in the mass media to “anxiety”, “fear” and “panic”, terms used repeatedly to describe the state of mind of the US population as these Anthrax Attacks proceeded. There were similar references to the state of mind of Congress. In my view, causing the panic was part of the operation, but also talking about it a lot through the mass media was part of the operation. I do think the mass media permitted themselves to be used shamelessly in this operation, and spreading fear was part of their job. JC: You mentioned that the two senators were attacked with a very refined form on anthrax. Now, I believe this is sometimes referred to as “weaponised anthrax.” Could you tell us what that is? GM: Right, well, we won’t find everybody agreeing on the definition of “weaponised.” The FBI eventually took the position that the anthrax was not weaponised, that none of the anthrax used in the attacks was weaponised. In my view, that’s clearly false, even if you accept their definition of weaponised; but I don’t accept their definition. They try to make it a very special kind of technical definition. Basically, to weaponise anything is to prepare it such that it becomes a more effective weapon; that’s all “weaponised” really means. What we’re talking about is a naturally occurring bacterium. It’s especially common among herbivores, it’s parasitic, and it can cause disease and death. But if someone wants to make it into an effective weapon, they can’t rely upon natural anthrax; it’s not going to do the job well enough. So, it’s been known for years that it has to be prepared in special ways. Some of the things that happen in nature have to be prevented. In nature, it’s quite common for bacteria to form what’s called endospores when, for example, nutrients are scarce. You might say they ‘sleep’ in this condition, which is typically a very durable form of the bacterium. Then, when nutrients are provided, they will ‘awaken’ again. This is what happens with anthrax. If you breathe in one of these anthrax endospores, it gets into your lungs, finds itself in a perfect environment, and ‘awakens’ – turns into a more active form, and does its lethal job. So, in order to make it into a weapon, one requirement is to prevent the clumping that tends to happen in nature. You see, anthrax is most lethal when it’s breathed in. You can get cutaneous anthrax through the skin if you have an open wound; you can get an intestinal form if you eat, say, anthrax-infected meat; but by far the most dangerous form – which humans therefore choose to weaponise – is pulmonary or inhalation anthrax, where you breathe it in. That’s deadly; about 90% of the people that get inhalation anthrax will die from it. So, it’s very lethal, and people who like thinking up exotic weapons will say: “Wow, look at that! Look at how lethal it is!” But they’re also going to say: “In nature the spores clump together, so they don’t float around very well. We want a beautiful aerosol of tiny anthrax spores floating around in a cloud, almost like smoke. So, if somebody opens the letter in a building, it floats out of the letter and contaminates the whole building.” That’s exactly what happened, by the way, when Tom Daschle’s secretary opened the letter on October 15th in the Hart Senate Building; it was like smoke. It came out of the envelope, floated around and contaminated the whole building – partly because it got transferred around on people’s clothing and entered the air ducts. The whole building had to close down for months, and be cleaned out. Imagine that, just from a tiny little bit of anthrax in an envelope! So, how do you solve that? Well, one way is to coat the anthrax spores. What’s needed is a very fine and even product of tiny spores, without much refuse, just the right size to enter through the nasal passages and to become lodged in the lungs. If they’re too big, they’ll get caught in the nasal passages; if they’re too small, they’ll be breathed right out again. Then the anthrax spores need to be coated with a substance that turns them into an aerosol; it gets rid of this tendency towards static clumping. The point is, we have very strong evidence that all those things were done to the anthrax used in the Anthrax Attacks, and especially in the letters to the senators. So when I say it was weaponised, I say it had had several things done to it to change it from the natural form of anthrax to a very lethal form of anthrax that could be used as a weapon. JC: Yes, and actually the sophistication of that material turns out to be an essential component in your argument, and no doubt we will come back to that in a few minutes. Let’s turn to the main arguments of your book. In Chapter One, you give a list of statements that you’re going to argue for throughout the rest of the book. (You do make it quite clear that you’re not presenting a comprehensive account or a comprehensive analysis of the attacks; you are just alerting us to key pieces of evidence that support the following propositions.) I’ll paraphrase your list if I may, the we’ll go from there. E: This Global War on Terror paradigm has enabled the US executive branch to reduce civil liberties in the US, to attack other nations, and to weaken the rule of law both domestically and internationally. And you track the history of how the officially-preferred hypothesis (which was ‘a foreign group’), gradually shifted along to become ‘a domestic individual’ as difficulties arose for the explanation. So, could you talk us through how and why that shift happened from the foreign-group-preferred hypothesis through to the domestic-individual one? GM: I’ll do my best. All the options were on the table when the anthrax was first discovered. That is to say, when it first became clear that anthrax was in play on October 3rd, 2001, people began brainstorming: “What going on? Is this a lone perpetrator, some insane individual in the United States? Is it somebody from abroad? Is it connected to the 9/11 attacks?”, and so on. But pretty rapidly the most popular hypothesis in the US became that it was done by the same group, or a connected group, that perpetrated the 9/11 attacks. We know this because a survey conducted in mid-October showed that over 60% of the US population thought that Al-Qaeda was involved in some way. So, that was the most successful hypothesis. 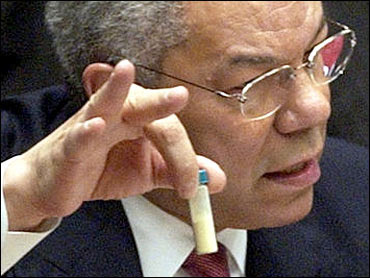 But another hypothesis was meanwhile making its way around, which was that Iraq was responsible for the anthrax. There were lots of reasons for people to choose Iraq. After all, who’s Al-Qaeda? – a small, poorly-funded group with caves and crude training camps in Afghanistan. There’s no evidence that they had ever produced anthrax, and they especially couldn’t have come up with the kind of sophisticated product that seemed to be going around. Iraq, on the other hand, had had an anthrax programme at one point in the past; and this was known. A state has laboratories, production facilities and finances that a little group like Al-Qaeda doesn’t have. So, the idea formed: “Well, we don’t like Iraq, and we’ve been worried about their weapons of mass destruction for some time; maybe this has got their fingerprints.” Then, by mid-October, a slightly more sophisticated hypothesis came about, that they were both involved; which is what I call The Double Perpetrator Hypothesis. According to this, the anthrax came from Iraq, but Iraq provided it to Al-Qaeda, who then acted as the foot soldiers – the people on the ground who took the stuff, put it in the envelopes, wrote the little notes, and sent it off. That hypothesis went from strength to strength in October of 2001, and was believed by enough people to help the PATRIOT Act go through, which was signed into law by George Bush on October 26th. JC: What kind of justification was offered for linking Iraq to Al-Qaeda, apart from what you’ve already said? They gave us various stories, Julian. There was a story that the head of the Hijackers, Mohammed Atta, had met with an Iraqi diplomat in Prague. That was an example. There were other stories of this kind, some of which supposedly came from Iraqi dissidents and expatriates. To make a long story short, it was all baloney. Iraq did not support Al-Qaeda; they had very different ideologies, very different views of the world. They didn’t work together, and the CIA knew they didn’t work together. So did British intelligence, by the way; we know this from the Downing Street Memo. It was well-known in the intelligence community that they didn’t work together. But, that didn’t prevent the proponents of this double-perpetrator thing from trying, over an extended period, to claim that they were working together. This was one of several stories that fell apart. JC: It doesn’t seem extremely likely to me that Saddam Hussein and Osama bin Laden would have been the best of mates. GM: They weren’t working together; they definitely weren’t. JC: Do you think what really sold this 9/11 connection to the general population were the notes that appeared with some of these attacks? I have one in front of me here. Reading from the top, it says: “9/11/01. You cannot stop us. We have this anthrax. You die now. Are you afraid? Death to America. Death to Israel. Allah is great.” Do you think those were the things that really made people believe that there was an Al-Qaeda connection here? GM: Sure, that was part of it. The Al-Qaeda hypothesis was already making the rounds before the text of the letters was discovered, but there’s no doubt that the letters, briefly at least, helped to implicate Al-Qaeda. I mean, there it is—9/11, the date, given right at the top of each one of these letters, and then, as you say, this kind of crude, almost Hollywood caricature of an Islamic extremist—death to this, death to that—obviously made to look like Al-Qaeda. So yes, that had an effect; that helped frame Al-Qaeda. Meanwhile the framing of Iraq was going on in a somewhat separate way. So, for example, at the end of October, ABC news claimed that experts had discovered a substance in the anthrax that coats the spores, namely Bentonite. And they said: “Oh, my gosh, you’ve got three (and then it became four) independent expert sources telling us there’s Bentonite helping to weaponise this anthrax. And Bentonite is Saddam Hussein’s signature. It’s a particular substance that only Iraq uses to weaponise its anthrax.” So there you go: you’ve got the letters which seem to point to Al-Qaeda, you’ve got the Bentonite pointing to Iraq – there you have the double-perpetrator. JC: Did the Bentonite thing hold water? GM: The Bentonite thing did not hold water. It’s just another story or scenario; it’s another cooked-up fiction that we were all supposed to buy. Bentonite, by the way (and this amuses me), was described in one of these ABC reports as “the powerful additive.” You kind of want to tremble at this horrible Bentonite. JC: It sounds like Kryptonite in the Superman comics. GM: Yes, exactly. Actually it’s clay, and it’s used in Kitty Litter, so it’s not a particularly scary thing. But the point is that there wasn’t any in the anthrax, and ABC news had to back off pretty quickly and say, “Well, actually, it looks now as if maybe there isn’t any Bentonite.” The whole story of the double-perpetrator collapsed quite quickly. Your basic question to me was how do we get from ‘foreign group’ to ‘domestic individual’, and I’m slowly struggling to get there. Once the idea that Iraq was involved fell apart, there was not a shred of evidence Iraq had anything to do with it. And finally people started to admit that: “Al-Qaeda without Iraq? How does Al-Qaeda fit in? Al-Qaeda couldn’t have made this substance; there’s no way. This was really refined anthrax spore.” So, as soon as the Iraq hypothesis died, the Al-Qaeda hypothesis was twisting in the wind; it didn’t make sense. JC: You say another mistake was made in choosing the Ames strain of anthrax. That also didn’t fit with Iraq. GM: You’re going to say: “Well, it must be an individual in some lab here. We just have to find him or her. We can never rule out such individuals. They’re probably crazy; that’s why we use the term ‘lone nut’. And, you know, that doesn’t reveal anything about our system, or our Government. We’ll just find this individual and then it will all be over. You don’t have to worry.” So this, in my view, was clearly an attempt at damage control; that’s what the Domestic Individual Hypothesis was. I don’t think there’s ever been any good reason to believe it was an individual that did this. As I say in the book, it’s clear it was a group. JC: It’s quite disturbing looking back at that and seeing that process go on. It makes you think: Is that going on today? Are we missing things in the present situation? GM: Exactly, I think we are. If you’ve spent years of your life, as I have, studying these fraudulent actions—whether it be 9/11, or anthrax, or any of the others; and there’s a whole string of them—then you do become extremely sceptical when you look at the mass media. You ask: “What are they trying to get us to do now?” You will remember, in 2003, and actually for a couple of years before that, we were all told that there was an emergency: “What are we going to do about Iraq?” – and eventually, “Well, I guess we’ll have to invade them.” You look back at this now, and you ask yourself, “What was the emergency?” Some of us, of course, were saying that at the time; in fact quite a large peace movement was saying it. There was no emergency. Iraq hadn’t done anything new. Iraq had destroyed its weapons of mass destruction years ago, and there had never been any evidence that they still had them and were trying to develop them. They were a poor, impoverished country; they were going down the drain; they’d suffered terribly from sanctions. There simply was no emergency, and yet we were led to believe by our media that there was, and that we’d better invade. Somehow, of course, the same thing is happening about Syria, and people are being beheaded—“Oh, my goodness! What are we going to do? We’d better invade. We’d better start bombing Syria,” supposedly in order to get ISIS, but I think many of us know that ISIS isn’t the real target here; they want to unseat the Assad regime. JC: Yes, memories do seem to be very short in some cases. Coming back to these two individuals, my understanding is that the FBI’s first suspect was this scientist called Steven Hatfill, which proved unsuccessful, and he was awarded substantial damages for harassment. Then they turned to Bruce Ivins, and that was successful in the sense that the case was closed. But you, along with many others, maintain that that case was extremely flimsy, almost to the point of non-existence. Could you give us an idea of how implausible that case was against Dr. Ivins? GM: I will do my best. You’re right, in a sense, that the FBI was, at least in the short term, successful in going after Ivins, meaning that they convinced a fair number of people, and they felt sufficiently confident in their case that they closed the case. However, he was not convicted; he was never tried; he was never even formally charged. They were saying that they were about to charge him with the crime, and then he suddenly died. This was in 2008. He apparently took his own life through an overdose of Tylenol; friends who have looked into this more deeply than I have, say that appears to be true. He had emotional and mental problems; the FBI had put him under tremendous stress, visiting him at work, visiting him at his home, staking out his home, talking to his children—he was under enormous pressure. He himself wrote a note to someone saying something like this: “The state demands its blood sacrifice, and it appears I am to be that sacrifice.” So, here’s a man under great pressure who probably takes his own life. Because of that, he’s not charged; he’s not tried; he’s not convicted. So the FBI then has a field day: “Oh well, the fact that he took his own life just shows his guilty conscience”, and they write a document in which the case against Ivins is made. (I think it’s something like 90 pages long; you can find it on the Internet). You have to realise how outrageous this is. The man is dead, and you’re making a case against him, a case on the most flimsy, circumstantial evidence, slander, and all the rest of it. He has no chance to rebut this. He had a lawyer, but the lawyer really has no function anymore because Ivins is dead. This, by the way, is part of a common pattern that we find in fraudulent events. This is the Lee Harvey Oswald phenomenon. Remember that Oswald supposedly killed Kennedy, and then just happened to be murdered in the presence of 70 Dallas police officers. Well, that meant, of course, that he would never be able to tell his story; he would never be tried; he would be convicted by slander, not by a legal process. I believe this is a fairly common pattern with these things. So, here we have Ivins dead: “Wow! So we don’t have to worry about being sued for 5 million dollars,” which is what Hatfill was successful in his suit for. (I forget, but it was something like 5.1 or 5.3 millions dollars.) “We don’t have to worry because he’s dead, so we’ll call him ‘the anthrax killer,’ and we’ll say the case is closed.” And that’s the official FBI position now. But I, and many other people, have been saying for years now: There’s no way; you’re evidence is hopelessly weak. JC: What kind of weaknesses were there with the evidence? Can you drag up a couple of things to give us an idea? GM: Well, the FBI claims that he had the capacity, the requisite tools and equipment, and presumably some motivation to make this product, and so on. All of this is unsupported by the evidence. He did work with anthrax; he worked at the United States Army Medical Research Institute of Infectious Diseases (USAMRIID), a US military lab. JC: Was that at Fort Detrick? GM: Right, Fort Detrick was badly equipped to produce this product. The two most likely suspects are laboratories at either Battelle Memorial Institute, which does a tremendous amount of work for the US intelligence agencies, and specialises in aerosols, and so on. And, the other would be the Dugway Proving Ground. Dugway also works for the US military; it’s part of the military-industrial complex, and it’s also possible that Dugway and Battelle worked together on this. Ivins had nothing to do with them; he didn’t have access to their equipment. Over the years I’ve referred to a number of quite technical articles on the anthrax spores used in the attacks, and it’s looking increasingly as if this product was taken from the US bioweapons programme. It was probably taken from stores that already existed; it wasn’t created specially for the Anthrax Attacks. This was most likely anthrax that was kept either at Dugway or Battelle. JC: So, looking at the logic of your argument, the two quadrants of the ‘foreign group’ and the ‘foreign individual’ seem to be pretty much unlikely, and this going after a ‘domestic individual’ doesn’t seem to be going anywhere. So, that seems to leave us with the ‘domestic group’. And, a major way in which you go about pinning down this group as very probably including US establishment insiders, is your exploration of the many warnings about Anthrax Attacks from official sources, in the media, and indeed a quite widespread taking of Cipro. Is that how you pronounce it? GM: Yes, I guess so. JC: That was in the days leading up to the attacks themselves. However, and would have thought that there should have been no apparent foreknowledge of this. So could you tell us something about these indications of possible foreknowledge, and what you think this tells us? GM: Yes, this is another thing to look for when you’re looking for a fraudulent event. You look to see if there’s foreknowledge, if there’s advance knowledge that looks really fishy, because if there is it may be that it comes from the perpetrators—that their plans either leaked out inadvertently, or in some cases were deliberately leaked out, for various reasons. The Anthrax Attacks are a good example of this. The way that I often start off on this is to say: At the time, Cipro, or Ciprofloxacin was the antibiotic of choice to treat anthrax. We would not be surprised if we were to discover that there was a run on this particular drug, and that a lot of people were running out and buying it after it was revealed that Robert Stevens was suffering from anthrax, and especially after he died on October 5th. So, if we were looking at a chart of how many people were buying Cipro, we would not be surprised to see that the sales went way up after his death; and, as a matter of fact, they did go way up. So far, so good. However, we would be surprised if sales started going up before his death; in fact, a couple of weeks before he was diagnosed as having anthrax, which is to say mid-September, when nobody is supposed to have known that anthrax was in play. (Okay, there were some letters in the mail, but nobody had been diagnosed as having anthrax.) At that point, the run on Cipro begins. And it reached quite large proportions, to the point where it was being talked about in The New York Times. It was called an “anthrax scare.” There were druggists being quoted as saying: “I can’t keep it in stock. People are worried about anthrax.” This is happening before there is any public knowledge, or any legitimate public knowledge, about anthrax. So, you have this strange situation where somebody puts anthrax in the mail, then there’s an anthrax scare, and then the anthrax put in the mail is discovered. Well, hello folks, something looks wrong here! So, then we look more deeply, and we find, for example, that George W. Bush, President of the United States, and Richard Cheney, Vice-President of the United States, were put on Cipro; they started a course of Cipro on 9/11 itself. And you might think: “Well, that seems a little odd.” But then somebody answers you: “Well, no, this is protocol. After all, there was a major terrorist attack; it could be followed up with a bioweapons attack, so naturally enough, you put your chief executive officers on Cipro.” Now, if someone said that to me, I would say, “Okay, I guess so. I haven’t seen the written protocol, but it makes sense to me. But that explanation starts to fall apart when we consider that other people were going on Cipro as well.” So, for example, we have a Washington Post journalist by the name of Richard Cohen, who’s in print as saying this years later: “Oh, I was told in a roundabout way – I was given a tip by a government official – that I should procure Cipro.” Now, he said this happened shortly after 9/11; he said it happened well before most people had even heard of Cipro. So, when we try to figure out what period he’s talking about, it has to be between 9/11 and, let’s say, September 25th (because by that time everybody knows about it; it’s being reported in The New York Times). So, at some point in mid-September, Richard Cohen, journalist, is given a tip—now, what on earth does this mean?—by a government official, that he should start taking the antibiotic required for anthrax. And so, we’ve got all these things happening. We’ve got the President, the Vice-President; we’ve got Cohen; we’ve got all kinds of other people talking about it; we’ve got druggists saying there’s a run on it. At this point, we have to say that this is looking very fishy indeed. JC: Absolutely, but could you argue something like the following? Well, perhaps they had intelligence that there might have been, say, unsophisticated anthrax coming from Al-Qaeda, and they didn’t want to alarm the population, so they just told certain people? GM: Well, you could say that, and I do explore that option in the book, but I don’t think it’s true. Part of the reason is that this was not good intelligence, because Iraq, in fact, had destroyed its stocks of anthrax years ago, and Al-Qaeda never had any, as far as we know. So, the idea that these foreign Muslims were going to spread anthrax in the United States shortly after the 9/11 attacks is not good intelligence; in my view it’s not even faulty intelligence—it’s fraudulent intelligence. I think that US intelligence were perfectly aware that Iraq and Al-Qaeda didn’t have it and had no motivation anyway; certainly Iraq didn’t have any motivation. So, was there intelligence? Well, it depends on what you mean by intelligence. There was fraudulent intelligence. Fictional stories were being given to people before and after 9/11, having to do with Al-Qaeda and Iraq being possibly about to carry out an anthrax attack. So, in that sense, you could say people were taking Cipro because they heard these stories, but the point is the stories were deliberately false stories; they were fictions. JC: As part of the kind of foreknowledge background to all of this, you mentioned something called Dark Winter, a project of the American Government that I believe was a simulation of an anthrax attack. That was obviously before these attacks took place. Could you tell us something about Dark Winter? GM: Yes, Dark Winter was a simulation; you could call it a war game if you like. (Governments carry out these all the time, so there’s nothing particularly suspect about it in itself.) They were war-gaming bioweapons attacks on the United States, not anthrax actually, but smallpox. They do mention anthrax as a possibility during this simulation, but the emphasis is on smallpox. This Dark Winter exercise takes place in June of 2001; in other words, several months before the actual Anthrax Attacks. The reason it’s interesting is because of the parallels between this exercise and what then unfolds several months later. And I’ve discussed, I believe, 10 parallels in the book. But I suppose the single most interesting one is that, as the Dark Winter simulation unfolds, it becomes clear that: “Gee whiz, bin Laden may be involved.” And then people say: “Oh gee, but he may have a state sponsor.” And finally, by the end of the exercise, it has become clear that the smallpox attacks were carried out by a terrorist group based in Afghanistan – in other words, something like Al-Qaeda – and the actual smallpox was provided to them by Iraq. So, in other words, the same double perpetrator that later gets blamed for the real Anthrax Attacks is already being framed in this smallpox simulation, even though it’s already silly and nonsensical in June of 2001. It’s already known, in other words, that Iraq does not have the capacity to provide this material. Yet, already they’re framing Iraq; they’re setting things up for this. And there are all kinds of other parallels that I mention. So, for example, in the simulation in June, you have a need to curtail the civil rights of Americans; it’s talked about very overtly: “Okay, I guess we’ll have to suspend habeas corpus, and so forth.” And that’s exactly what happens a few months later with the PATRIOT Act curbing the civil rights of Americans. We also have during the simulation the US population getting angry about these foreign Muslims, and so they start attacking Muslims in the streets. That happens; it happens especially after 9/11, but also the Anthrax Attacks help to cement this notion of the “evil foreign Muslims.” And there’s a range of attacks happening in the United States in the fall, including murder. I mean, it’s a really major wave of recrimination against anybody who looks like they might be Muslim. This is already prefigured in June. So, you have all these things in the simulation: a high state official being targeted and coming down with smallpox, later you have two senators being targeted, and smallpox being sent to the media in envelopes. That’s exactly the way the Anthrax Attacks begin. So, you see the point; it’s almost as if you have a group practising, and then doing the real thing a few months later. JC: Yes, so it looks like a kind of template. But can you locate any individuals who were involved with Dark Winter, who then sort of float to the surface with respect to the anthrax scene? GM: (laughter) Yes. I like the image of them floating to the surface. GM: No, there are indeed people who float to the surface. Judith Miller plays the part of a reporter in the Dark Winter simulation. Of course, she was a reporter; she was a major journalist at The New York Times, and at the time of the Dark Winter simulation she was completing a book called Germs, in which Iraq especially would be called “the great fear” in terms of bioweapons. Also, she and her co-authors say in the book: “They may, of course, have used an intermediary, a group like Al-Qaeda to help them.” This is the same Judith Miller. She shows up in the simulation, and her book comes out in October just as the Anthrax Attacks are happening. On October 12th, she herself receives a threat letter at The New York Times, which turns out to have fake powder in it; but it allows her to write an article, it promotes sales of her book, and helps to get Iraq in the crosshairs. So, Judith Miller is a participant in both the June simulation and in the real attacks in October. Then we have James Woolsey, former head of the CIA; he’s in the simulation and then he becomes a participant during the Anthrax Attacks. He’s very vocal in making sure Iraq’s name is brought up all the time. He goes after Iraq; he thinks Iraq was involved in both 9/11 and the Anthrax Attacks. So, this becomes one of his main functions in the real world, not just the simulation. And we have this strange character, Jerome Hauer, who is in the simulation; he’s a key figure in the 9/11 attacks, and then he becomes involved in the anthrax thing because he’s a bioweapons expert. In my view, he’s a deeply fishy character, but let’s just say he’s a dark player in both the simulation and the reality. And when we look at all the parallels between the simulation and reality, we may be led to ask the following question, (a question I briefly ask in the book, and explore elsewhere in a paper at an academic conference): Where’s the line between simulation and reality? Do we have simulations in June followed by reality in the fall? Or is what happened in the fall Stage Two of the simulation? Could it be thought of that way? Admittedly, a lethal simulation, but nonetheless something that has many of the features of a simulation; which is to say it’s fiction, it’s limited in its scope, it’s got highly defined rules, and so on. JC: You’ve been talking about these various personnel “coincidences” (that may, or may not, deserve inverted commas), and certainly the Hijacker connection that you bring up in the book is absolutely full of such “coincidences”. This has to do with one of the other contentions of your book – Point C in your Chapter One list – that the people who were behind the Anthrax Attacks were linked to, or indeed identical with, the perpetrators of the 9/11 attacks. And it’s in Chapter 7 that you really pinpoint this, where you discuss the alleged 9/11 Hijackers and their very surprising connections to this anthrax affair. This was news to me – a very eye-opening chapter indeed. So, could you tell us how some of these alleged 9/11 Hijackers turn out to be connected to this anthrax narrative? GM: I will do my best. This is an intricate issue, and it’s sometimes difficult to explain in an interview. Let me start by saying that when the Anthrax Attacks became public knowledge in October of 2001, it was a very common belief that the U.S. had been subjected to what we might call a “one-two punch,” in which Punch One was the 9/11 attacks, and then, before people really have a chance to recover, Punch Two comes in with the Anthrax Attacks. That was pretty widely assumed to be true. Now, once the anthrax narrative fell apart, and it became clear – which it did pretty quickly – that this wasn’t foreign Muslims, but rather this was coming from within the U.S. bioweapons programme itself, then the “one-two punch” story also fell apart. That is, it was swept down the “memory hole”. The FBI was now spending a lot of energy saying that there was no connection between 9/11 (which they maintained was carried out by real Muslims) and the Anthrax Attacks, because they were carried out by fake Muslims, or a fraudulent Muslim, who then wanted to kill Americans; they had nothing to do with each other. So, one of the main things my book is trying to do is to say that the original idea is correct: it was a one-two punch. They are connected; we need to see that. But they aren’t connected in the way that we were originally told. It wasn’t a one-two punch by foreign Muslims; it was a one-two punch by people within the United States. They were both inside jobs. We can even say that we should talk about the 9/11-Anthrax Attacks – the 9/11-Anthrax Operation. That’s the way I would like to call it: they were two parts of the same operation. Now, I know that’s not quite what you asked, but I wanted to make that clear because that’s one of the main themes of my book. The connections are many, but the most obvious one, I suppose, is Florida, where about 15 out of 19 of the Hijackers lived for quite a while. They didn’t just hang out there; they took flying lessons and various things there. Some of these guys were directly connected, or pretty directly connected, to the first anthrax death. For example, the woman who was the real estate agent of Robert Stevens (the first person to die of anthrax) was also the real estate agent of two of the 19 Hijackers—which is kind of weird—Hamza Alghamdi and Marwan al-Shehhi. Marwan al-Shehhi, by the way, she clearly knew; it wasn’t that they simply passed in the hall. She said: “Oh yeah, I remember them really well. Marwan would phone me and laugh, and then he wanted me to drive them around town, and I did that, you know; I hung out with them.” So, she remembered him very clearly. So, here she is, finding two apartments for 19 Hijacker guys, and each apartment is then occupied by two of the 19 Hijackers; so at this point we’ve got four Hijackers involved. And at one point, the St. Petersburg Times says that US intelligence has now linked nine of the Hijackers to a particular apartment in Florida, which this woman, Gloria Irish, found for them. So, Gloria Irish is connected to the Hijackers. And Gloria Irish is also connected to Robert Stevens. In fact, her husband, Mike Irish, is the editor of the newspaper that Stevens works for. She and her husband had known Stevens for years. So what does this mean? JC: So, Robert Stevens is the first guy to be sent an anthrax letter. Is that right? JC: I do want to ask you about that in a moment, because that’s another incredible thing. But I don’t want to distract us from the improbability of what you’ve just been talking about. From everything you’ve just said, we now know that those alleged Hijackers wouldn’t have been sending the anthrax out, and yet it’s Robert Stevens, who’s closely linked into that whole situation, who receives this anthrax letter. That’s incredible. Out of the 350 million Americans who could have been targeted with this, how come he ends up being targeted? That is absolutely astonishing. GM: It is, and I don’t think it’s coincidence. So then, if it’s not coincidence, then we’re left saying: “Well gee, the 19 Hijackers are quite closely connected to the Anthrax Attacks.” There’s plenty of evidence that they are connected. So then we’ve got to decide which direction to go with this. We can say: “Well, the Hijackers were obviously authentic—after all, they carried out the 9/11 attacks—so maybe the Anthrax Attacks have to be authentic, after all.” That’s one direction we could go. The other direction, which is what I believe the evidence overwhelmingly suggests, is that the Anthrax Attacks were fraudulent; they came from within the US. And if the Hijackers are connected, then the Hijackers are fraudulent, and the 9/11 attacks are fraudulent. That’s the direction that I think we are forced to go in. JC: So, you’re saying, presumably, that the whole thing was set up so that the FBI would make a connection between Stevens and the Hijackers; they would then make the link with Al-Qaeda and give credence to the official story. But in reality, you’re saying, the whole thing was manufactured. GM: Exactly, and this is the part that people sometimes find confusing. So, for example, if you look at the Dark Winter simulation I mentioned, in June of 2001, you’d find that, as the simulation goes on, people are discovering this, and they’re discovering that: “Oh gee, maybe bin Laden’s involved. Oh gee, maybe Iraq’s involved.” The perpetrators become clear over time. Exactly the same thing, I believe, was designed to happen in the actual attacks in the fall. You could see it in the media. Somebody would say: “Gee, these anthrax letters are coming from the parts of the country where the Hijackers were active, like Florida.” And then the next day someone would say: “Wow, it’s not just that! There’s this Gloria Irish person involved.” And then someone says: “Well yeah, and Mohammed Atta went and talked to an Iraqi diplomat.” All these little leads are being discovered, and I believe the leads were being discovered because they were planted there, and we were supposed to all discover them. We were supposed to come to the conclusion, throughout the fall of 2001, that these Anthrax Attacks were an attack on the United States, using weapons of mass destruction, carried out by Al-Qaeda and Iraq. That, obviously, would justify invading Afghanistan and Iraq. JC: And now we’re left with the situation where we’re supposed to believe that these 9/11 Hijackers had nothing to do with it, but rather it was Bruce Ivins who sent it. And it just so happens that he sent it to somebody closely connected with these Hijackers. Quite extraordinary. GM: That’s right. The FBI today doesn’t want to talk about the Hijackers in connection with the anthrax. To the extent that they have an official position, it is that there was nothing but coincidence. I hope I’ve made the case strongly in the book that that’s extraordinarily unlikely. JC: You have indeed. You’ve also backed it up with what you were just about to say about Mohammed Atta, which is almost equally extraordinary; so let me not stand in your way of telling us about that as well. GM: Well, this is a story that was mentioned in the press shortly after 9/11. (It was mentioned in its original form before the Anthrax Attacks had become public, although the long form of the story didn’t come out until 2002.) Anyway, here’s the story basically, in the long form, as reported by ABC news. Mohammed Atta, the so-called ringleader of the 19 Hijackers, has just come to the United States from Hamburg in Germany. While in Hamburg he’s supposedly being followed by US intelligence, and is seen purchasing chemicals, which he may then use to carry out biological or chemical warfare attacks in the United States. So, he leaves Hamburg after doing all that fishy stuff, comes to the United States and apparently decides: “Well, now I need a delivery vehicle. We can manufacture anthrax, or have it supplied to us, but how are we going to kill a lot of people? Well, the ideal way, apparently, would be to get a crop duster plane.” (It’s one of these little planes that flies over the fields and disperses substances – pesticides or whatever.) “If we could get one of those planes with all the little nozzles and stuff, and load our liquefied anthrax (or maybe even dry form) onto the plane, imagine how many people we could kill forming this vast aerosol.” That appears to be his thought, because he shows up at a US Department of Agriculture loan office in Florida, and talks to a loan officer by the name of Johnelle Bryant. Supposedly, this is all happening in the spring of 2001; that’s what Johnelle Bryant tells ABC news. And Atta says to her: “I’m originally from Egypt, but I’ve come to the United States via Afghanistan, and my dream is to fly planes. I’d like to dust American crops, and to that end I would like a loan, because I know you give out loans for agricultural purposes. And I want to make a special kind of crop-duster. I don’t want one of those little planes that you have to keep landing and reloading; I want a biggie, with a huge tank, so that I can do all the spraying I need in one go.” And the story goes from one ridiculous assertion to another. Bryant says to him fairly early on: “Well, I’m sorry, but you’re not an American citizen, so you’re not eligible for this.” And he becomes agitated and says: “Well, who’s to say I couldn’t just walk over and cut your throat, and then take the $650,000 that I want? I’ll take it from the safe.” So then, of course, she says: “You don’t scare me; I know karate.” I mean, the whole story is silly, but it gets worse. He then notices on her wall an aerial photograph of Washington D.C., and gets excited saying: “Oh, I’ve never seen a better view of Washington from the air. That’s really great; I would like to have that”, and he begins throwing cash on her desk to buy it. At some point in the conversation he points out the Pentagon and says: “How would you like it if people came to your country and destroyed your buildings and your monuments?” He goes on to say to Johnelle Bryant that he’d like to visit the World Trade Center, and asks: “Do you know what the security is like there? I’d really like to get in and check it out.” And he mentions Al-Qaeda, saying: “There’s a wonderful man in the world you may not have heard of called Osama bin Laden. Someday, he’ll be very well-known.” He actually implies that he’s associated with bin Laden in this ridiculous conversation. This is reported by Brian Ross of ABC news in detail in 2002; the story is given in very short form shortly after 9/11. And we are then supposed to believe that this is Mohammed Atta, the chief Hijacker, the ringleader of the Hijackers, the man who flew a plane into the North Tower of the World Trade Center on 9/11. Here he is, trying to buy a plane in order to carry out a biological attack on the United States. So, this is just of many false scenarios, obvious fictions, we were told to help set the stage so that we would believe the Iraq-Al-Qaeda story. JC: So, Atta would be going about his secret mission by alerting everybody to what it’s about and who he is; it’s incredible. GM: Exactly, and as I point out in the book, that’s not the only absurd Mohammed Atta story. There’s a whole cycle of stories: Mohammed Atta is bitten by a dog; Mohammed Atta leaves his plane on the runway; Mohammed Atta is pulled over for speeding and has an arrest warrant issued when he refuses to show up in court; Mohammed Atta threatens somebody in a drug store and scares somebody – on and on. I mean, it’s absurd. If this man was actually the ringleader who carried out one of the most lethal and sophisticated criminal operations in US history, there’s no way he would lay a trail like this, which is exactly what these 19 Hijackers are said to do. JC: Well, we are getting towards the end of our time here, and obviously, in order to get a full picture of how this all hangs together, people really need to read the book. I do highly recommend that people get a copy it and read it. As I said before, it’s very easy to read; you’ve gone to a lot of effort to make it easily understandable. But before we close, I’d like to ask you, finally, if you would comment on the legacy of these attacks. I have in mind here the way they played their part in shifting us away from the Cold War, towards this War on Terror paradigm that we’re in now, with all that means for war across the globe and surveillance at home. So, how important do you see these attacks as bringing about that shift from the Cold War to this new War on Terror? GM: Well, as I say, I see the attacks on the US, or perhaps I should say the attacks that took place in the US in the fall of 2001, as forming one operation. So, rather than separate 9/11 and anthrax, I’d say the 9/11-Anthrax Operation was crucial in – if not creating the Global War on Terror, because we can argue it was already in place – at least creating a huge upsurge in this Global War on Terror. Now, if we look at US military spending, and indeed global military spending, after the end of the Cold War, we find that it was indeed dropping. We may not have gotten the so-called peace dividend that we wanted, but it was going down. The attacks in the fall of 2001 changed all that, both in the US and in the world more generally; of course, they’re closely connected. The US at that time took up about 50% of the world’s military spending, so obviously if it goes up in the US, it’s automatically going to go up in the world as a whole. But it went way up – I mean, just another huge peak. If you look, you see World War II was a peak; the Korean War was a peak; the Vietnam War was a peak; the late-Cold War was a peak; and now we’ve got the latest peak, the so-called Global War on Terror. The military-industrial-complex is happy; the US gets to control as much of the oil production as it can in the world during this dramatically important phase of world history when we are losing our energy resources. There appears to be an effort by the sole remaining superpower to control the last drops of oil; this is a huge historic thing that’s happening here. “Who cares?” these guys seem to say. “Who cares how many hundreds of thousands or even millions of people die? We are going to use the system we know, which is war; it’s called war. We’re going to use it to solve the problems of oil scarcity, or energy scarcity more generally. We’re going to use it, because that’s what we’re good at; we’re really good at war.” And of course, this is so dangerous for humanity. War is not a sustainable solution; it’s not a humane solution; and it’s certainly not a solution for humanity as a whole. You cannot solve the problem of the world’s rapidly disappearing energy resources through this brutal system. You can put off the day of reckoning, but you cannot solve it. And that’s where we are right now, and that’s why some of us feel we must unmask these perpetrators if we can, so that the world may begin in a more enlightened and humane way to co-operate to solve the genuine environmental problems we face. JC: And I think what’s so worrying about this present phase is that this “War on Terror” is painted as being an eternal war. I mean, people talk about it, saying: “It’s not going to be won in this generation. It’s going to take generations”, as if the military-industrial complex has actually generated something that is in perpetual motion. GM: I think that’s what they are trying to create; they are trying to create what you might call a war machine, meaning a machine that keeps war going, no matter what people may think. And I think this so-called ISIS threat is just the latest in a whole series of threats that they intend to keep creating and promoting as long as necessary. And we need to start taking the mask off. JC: And do you feel that the clamping down at home – the surveillance state and the loss of freedoms – is part of that picture as well; that as people become more aware of what’s going on, then people’s consciences have to be stepped on to allow this war to continue? GM: Absolutely, and I try to make that point, however succinctly, in the book, by saying that the clamping down on civil rights and the promotion of wars abroad have often in history been two aspects of the same move. When you want to mobilise people for war, you get them to think the same; you force them, if necessary, to think the same as the war leaders. You begin clamping down on all forms of dissent; we’ve seen this throughout history. And the Global War on Terror, therefore, if it’s going to be successfully kept going by these people, involves both the creation of outward war triggers, like ISIS, pretexts for war, and at the same time an inward movement. And of course in the U.K., this is very strong, too. And the London Bombings helped to create this. That is, you have to make the police into kind of paramilitary forces; you have to decrease people’s sense that they have civil rights that are inviolable; and you have to be willing to control the population. And that’s what we’re seeing, unfortunately. JC: Yes, indeed. And I think this came out very starkly just very recently with David Cameron’s speech at the UN, where he talked about people who say 9/11 was a “Jewish plot” (that’s very carefully worded), that 7/7 was staged, or that the West has a war on Islam. People who say things like that are now extremists, part of the narrative that is somehow connected to ISIS which needs to be combated. And I think a lot of people have thought just how appalling that statement was. I don’t know to what extent David Cameron realises what he’s doing there, but he’s mouthing words that have presumably been given to him by somebody else, and it seems to be all part of this dynamic that you’ve just been talking about. GM: I think you’re absolutely right. I don’t know who wrote his speech, but I think the move comes from very dark and very powerful forces. We have to remember that they’ve shown their hand. When the Prime Minister gets up in the UN and somehow manages, through complete propaganda and nonsense, to weave together this brutal and terrifying force that beheads people with people like us who are raising questions about criminal acts that took place in our countries—we’re all somehow in the same category. GM: They’re really showing where they’re going there, and I think we need to react to that. JC: Absolutely, very frightening times, but we shouldn’t be frightened; indeed, we should continue to talk about and question these things, because otherwise in a sense they’ve won. So, Dr. MacQueen, thank you ever so much indeed for being with us, and, as I say, your book is a must read. I guess people can get it through Amazon, but can it be purchased through the publisher in some way? GM: Yes, the most direct route at the moment is to look up Clarity Press on the Internet; that’s the publisher, and you’ll find the book advertised there. If you click through, you’ll get a web page which allows you to order the book directly from there. JC: Great, and obviously, as I said before, there’s so much more detail in the book than we can possibly cover in an interview like this. So, do go and get a copy; it’s an important book. It’s not a long book; you’ve written it to be understood and easily followed, and I think it makes its case extremely persuasively. I think it’s a major contribution to this area of study, including 9/11 studies. So, thank you very much, indeed, Dr. MacQueen for writing it and for setting this time aside to be with us on The Mind Renewed. GM: Thank you, Julian. I appreciate you giving me this opportunity. JC: It’s a pleasure. Thank you ever so much for coming on.